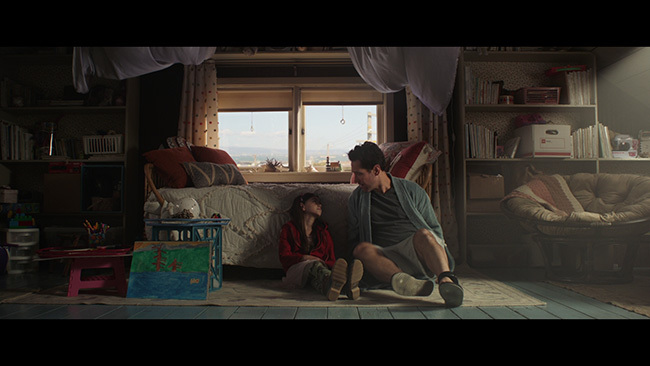 When 2015’s Ant-Man proved a hit, it only made sense that a sequel would follow, and thus was born Ant-Man And The Wasp, bringing Paul Rudd and Evangeline Lilly back as Scott Lang and Hope Van Dyne respectively. The storyline here pulls not just from the 2015 picture but also Captain America: Civil War. 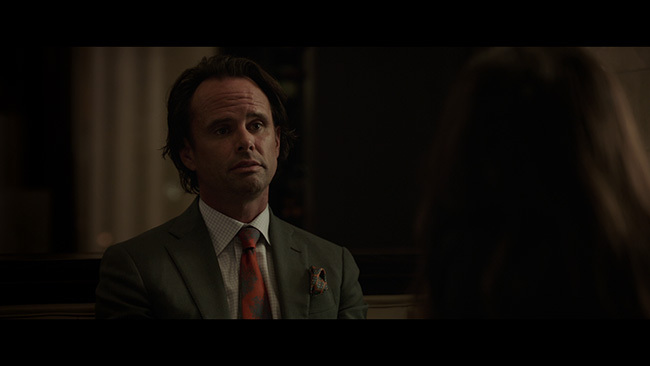 Lang is doing what he can to balance his personal life with his life as a superhero but when Hank Pym (Michael Douglas) and Hope Van Dyne ask him to help rescue Janet Van Dyne (Michelle Pfeiffer), who is trapped in The Quantum Realm after shrinking herself down to diffuse a nuclear missile, he can’t really say no. 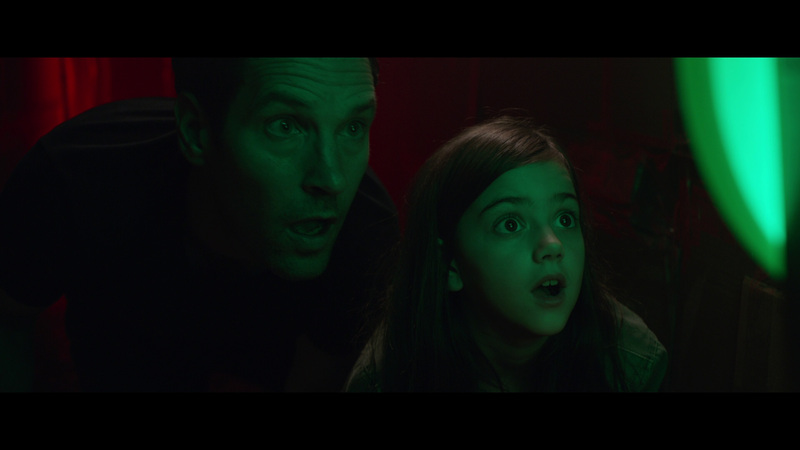 Soon enough, Scott and Hope are once again Ant-Man and The Wasp, ready to shrink down and do good, but of course it won’t be easy. 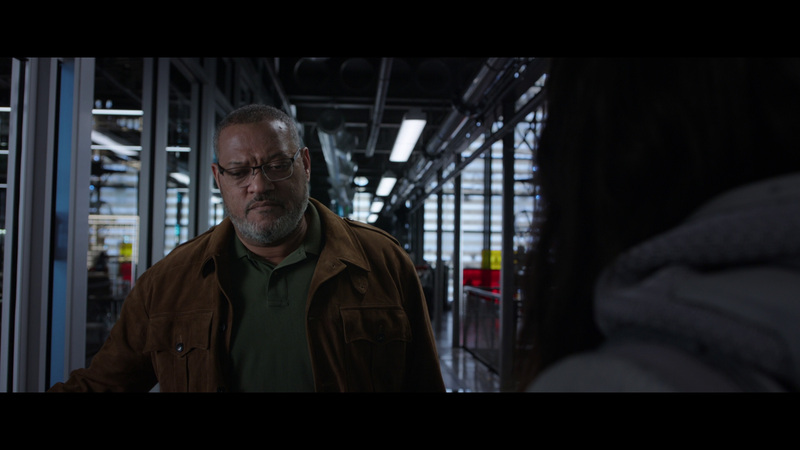 And if the superheroics they’re responsible for weren’t enough, Scott’s still got to help out Luis (Michael Peña), deal with being a father and solve the problems caused by new baddies on the scene Ghost (Hannah John-Kamen) and Bill Foster (Laurence Fishburne). Oh, and while all of this is going on, Scott is still under house arrest with his parole office, Agent Jimmy Woo (Randall Park), periodically showing up to check in on him. If you’re able to throw logic to the wind and go with it, Ant-Man And The Wasp is a lot of fun. Sure, we know that there are going to be roadblocks aplenty as Scott leads the charge with Hank and Hope to find and rescue Janet, and yeah, the whole mind-meld thing that happens between Scott and Janet is a little hard to swallow but more importantly than that the movie manages to deliver the right mix of humor and action. 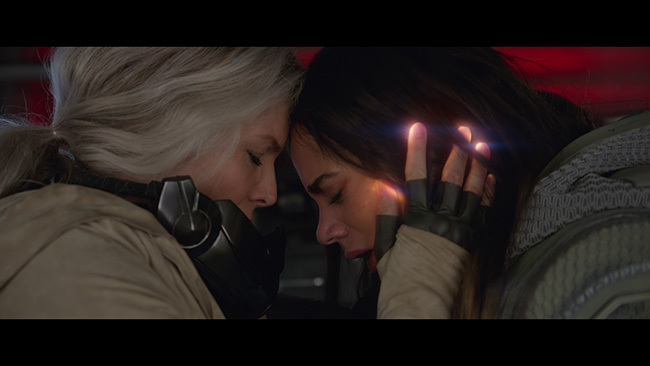 Those who prefer their superhero movies dark and angsty might not appreciate what director Peyton Reed has done on his second run with these characters but if you don’t consider darkness mandatory in movies about adults running around in tights fighting bad guys, you can easily have a good time here. Much of the film’s charm comes from its leads. Rudd and Lilly are both really entertaining in their respective roles. They have good chemistry together, ensuring that the fairly frequent banter feels natural enough to work. It’s also great to see veterans Douglas and Pfeiffer here as the elder superheroes, both do very fine work. Supporting effort from Peña, John-Kamen, Fishburne and Park is also quite good, with Walton Goggins, Bobby Cannavale and Judy Greer also filling out the supporting cast rather well. As you’d expect from a big budgeted superhero film bankrolled by Disney, Ant-Man And The Wasp does not lack in polish. The movie is paced really well and it looks fantastic. The vast majority of the effects are clearly done using CGI but they’re still often times quite impressive. 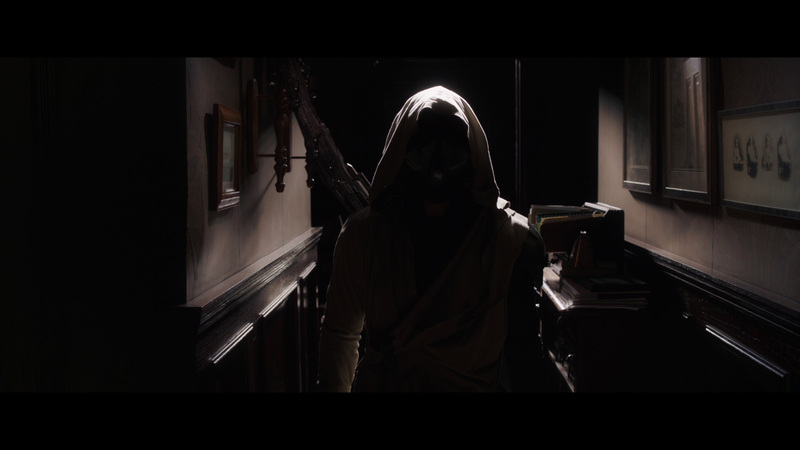 The film also benefits from a strong score and some genuinely amazing sound design. The HEVC / H.265 encoded 2160p 4k transfer for Ant-Man And The Wasp, framed at 2.39.1 widescreen, looks very good even if it is reported to be an upconvert from a 2k digital intermediate. Compared to the included Blu-ray disc, the UHD has noticeably better detail and color reproduction, you really notice it in close up shots. Black levels also appear to be just a tad deeper. Skin tones look great there, and as this was shot digitally, obviously there’s no print damage or grain to discuss. Really though, the colors here pop quite nicely – this is a very colorful film and it shines quite nicely in 4k. Compression issues are non-existent and the image is free of any obvious sharpening or edge enhancement. It’s hard to find much to complain about, the picture quality here is great. The English language Dolby Atmos track on this is disc is reference quality. It’s a remarkably powerful mix loaded with surround activity that is often bombastic but just as often quite subtle. 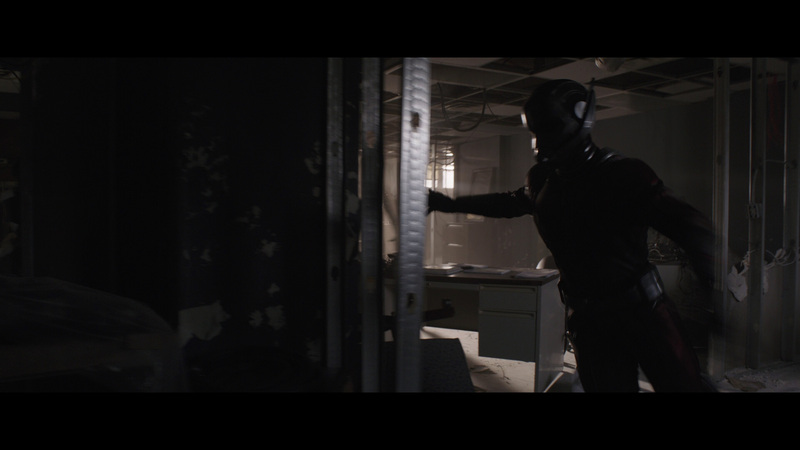 There’s always something going on in this mix, even in the quieter moments where you’ll pick up on natural background activity occurring in the film. The action set pieces, however, are where this track really shines. It’s very, very active and very, very immersive. At the same time, the levels are perfectly balanced, allowing for clear dialogue throughout while still affording the score and the sound effects plenty of punch. Bass response is strong, it really kicks when you want it to, and all in all this makes for a really impressive listening experience. French 7.1 Dolby Digital Plus tracks are provided in European French, Latin American Spanish, German and Italian. We also get a French-Canadian track in Dolby Digital 5.1 Surround Sound and English descriptive audio in Dolby Digital 2.0 Stereo. Optional subtitles are provided in English SDH, French-Canadian, European French, Latin American Spanish, German, Italian, Dutch, Swedish, Traditional Chinese, Cantonese, Korean, Thai, Swedish and last but not least, Norwegian. 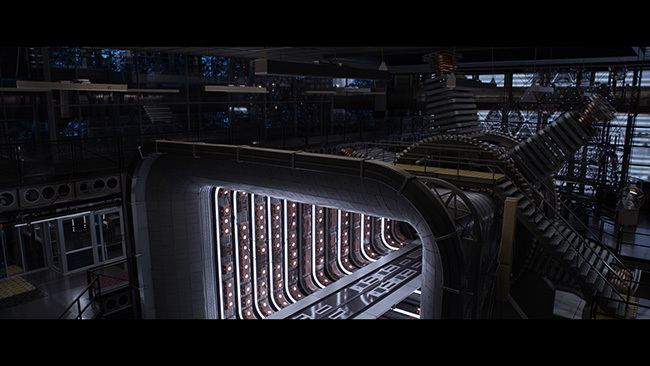 Extras, which are found on the Blu-ray disc not the UHD, start off with an audio commentary by director Peyton Reed. It’s an interesting track as he talks about the movie’s place in the Marvel Cinematic Universe, explains his thoughts on how the characters are expanded here, discusses working with the different cast and crew members involved in the project and talks up some of the effects set pieces and more. From there, we get a twenty-two-minute collection of featurettes broken down into four sections. 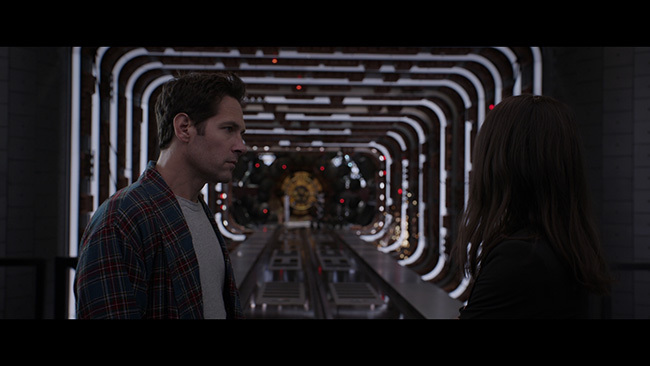 The first, Back In The Ant Suit: Scott Lang is a bit with Paul Rudd, exploring what he brings to the role, his sense of humor, and his interactions with cast and crew. In A Suit Of Her Own: The Wasp we learn about the intricacies of The Wasp’s character design, how she’s changed from the first movie to this second picture and more. 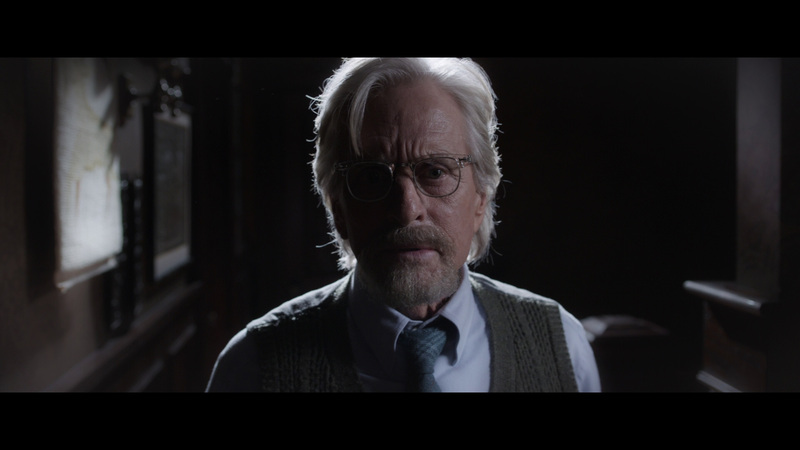 In Subatomic Superheros: Hank & Janet what Michelle Pfeiffer and Michael Douglas bring to the picture with some input from the pair and some of their co-stars. 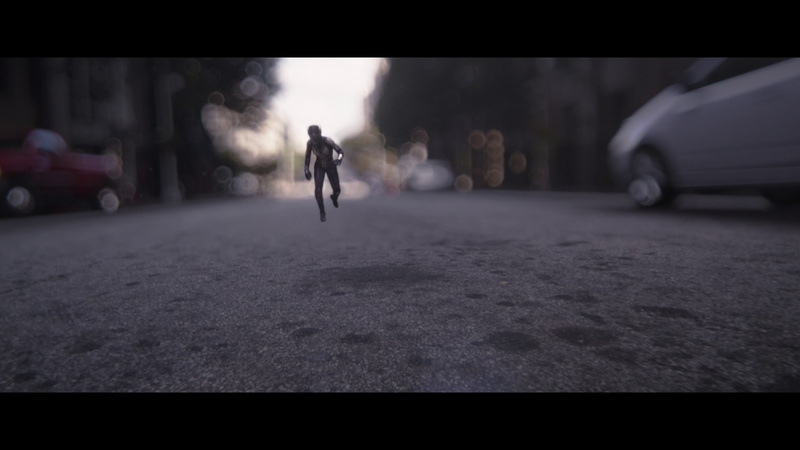 The last is Quantum Perspective: The VFX And Production Design Of 'Ant-Man And The Wasp' which is exactly what it sounds like, a piece that explores the effects work and design work that went into the film. These are all a little on the promotional side but there’s enough interesting content here that fans should still appreciate them. There are also a trio of gag reel segments here that run just under four-minutes, a brief collection of outtakes available with commentary from Reed, menus and chapter selections. 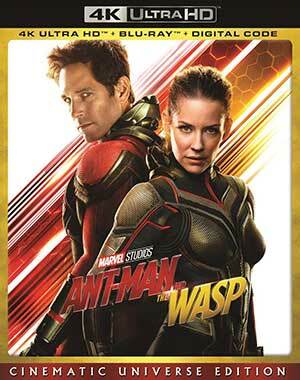 In addition to the UHD and Blu-ray discs, this set also contains a download code for a Digital HD version of the movie and a few digital exclusive extras: a minute-long promo called It Takes Two, a ten-minute featurette entitled 10 Years Of Marvel Studios: The Art Of The Marvel Cinematic Universe, and a three-minute focus on Reed called Director Of The Colony. All of this fits inside a standard Blu-ray sized case that in turn fits inside a slipcover. Ant-Man And The Wasp doesn’t reinvent the wheel but it does make for a really fun watch. Much of the credit goes to Rudd and Lilly for just being really likeable in their roles but the supporting players do fine work as well and Reed does a great job of keeping the pacing quick and the story engaging. The UHD/Blu-ray release from Disney is a good one, offering up a really nice transfer and superb audio as well as a decent selection of extras. All in all, lots of entertainment to be had with this one and it’s a really nice package overall. 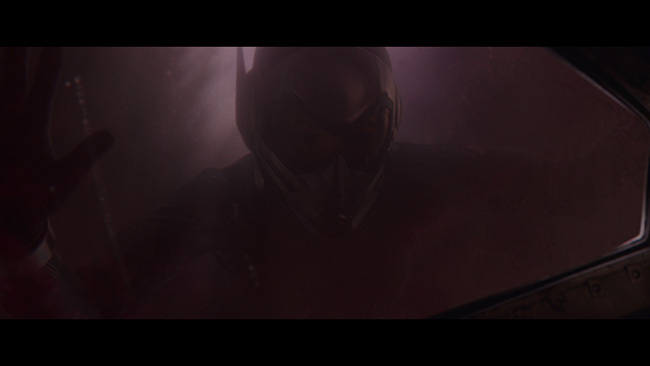 Click on the images below for full sized Ant-Man And The Wasp Blu-ray screen caps!